Thanks for the chance to win an awesome gift 🙂 Happy Easter!!! I just discovered your site and love it. I am new to couponing and can’t wait to score some deals. Happy Easter! Thanks for the chance! This is great! I “liked” you from the very begining! I already like ya of Facebook. Thanks for the opportunity! What a great gift card! I would love to win! I love all of your sweepstakes! Thank you! Thank you for the fun give away. I liked you on facebook. Great giveaways! Thank you for all the money saving tips! Happy Easter! What a great easter present this would be. I have been trying for weeks to win and would love to! THANK YOU! I also like you on facebook! Happy Easter! Your already liked on facebook. Thanks so much. I liked you on Facebook! Thank you for all you do!!!! Happy Easter to you and your family and all the totallytarget family. Another cute card! Thanks for the opportunity. I am a fan on facebook for a long time. Love TT. Would love to win. Thank you. Happy Easter to TT and all my fellow couponing TT readers! Thanks for the giveaway!! Happy Easter!! LOVE Totally Target! 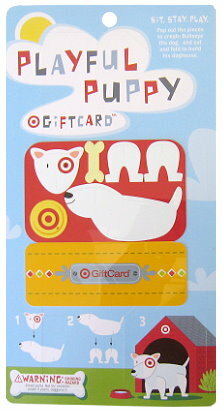 Thank you for offering this gift card, hope to win! Happy Easter! Thanks for all you do! This will be a great after Easter gift!